A true legend around here! 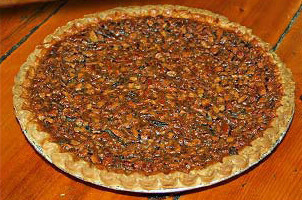 Rumor has it that Uncle JD was chasing Mary around the kitchen and spilled a lil Bourbon in the pie filling. The rest is history! One of the best pies ever! I’ll drive from Gilbert just to pick a couple up! Cheers!